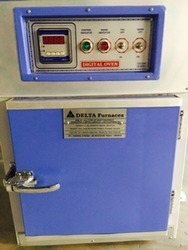 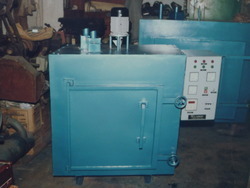 We manufacture and supply all types of industrial and laboratory grade commercial ovens, tempering ovens, baking ovens, curing ovens, drying ovens, air circulation ovens, testing ovens, annealing ovens, varnish drying ovens, soaking ovens, burnout ovens, pre heating ovens, electrode drying ovens, jewellery manufacturing ovens,spares and allied equipment. 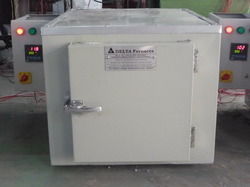 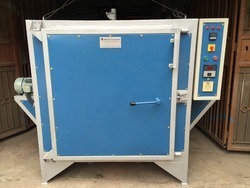 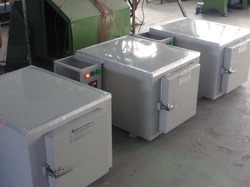 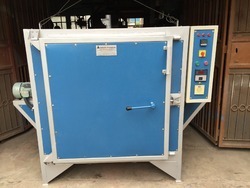 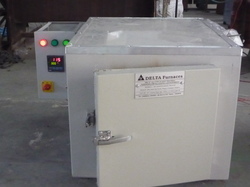 We manufacture and supply all types of chamber ovens for testing,preheating,drying,baking,curing,soaking,heating,annealing,solution annealing,industrial electric ovens for drying with air-circulation uniform heating etc. 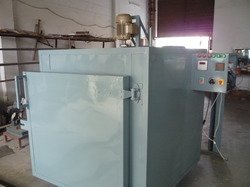 With the constant support of our dexterous crew of professionals, we are fulfilling the varied requirements of clients by offering INDUSTRIAL OVENS. 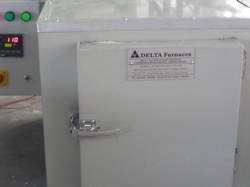 These OVENS are manufactured by using best quality of material & advance techniques in compliance with the quality standards. 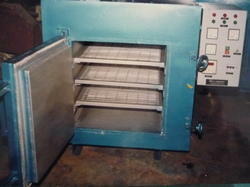 Additionally, the offered OVENS can also be availed by customers in various specifications as per their varied demands. 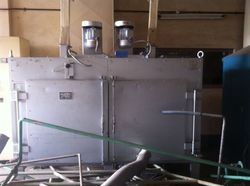 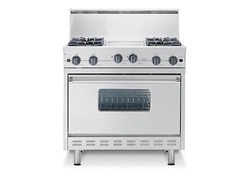 We offer this OVEN to our precious clients at nominal prices. 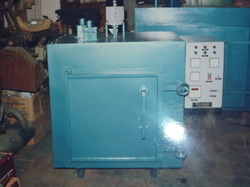 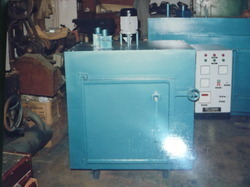 We are serving for last 51 years with our high quality electrical operated industrial heat treatment furnaces,bell type or box type normalizing furnaces,tempering furnaces,annealing furnaces,shaker hearth furnaces,continuous heat treatment furnaces,rotary furnaces,gas carburizing furnaces,hardening furnace,industrial ovens,melting furnaces,burn out casting furnaces,ammonia cracker furnaces,heating furnaces,baking ovens,controlled atmosphere furnaces,nitriding furnaces,bright annealing furnaces, lab furnaces,high temperature furnaces,muffle furnaces with thyristor scr panel ,automatic ramp and soak feature and maintaining heating rate cycle,programmer p.i.d controller muffle furnace,hot tensile testing furnace with double zone independent control,spectro sample polishing machine,argon purifier furnaces,heating elements,thermocouples,carbon sulfur apparatus and quality lab metallurgical testing equipment,lab ovens,air circulation ovens and lab testing equipment etc kindly contact us for any above related enquiry we look forward to serve you with our best quality products and serviceswe can,supply heating elements,thermocouples, thyristorise energy saving panels,retort etc. 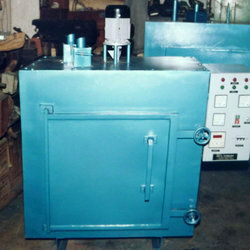 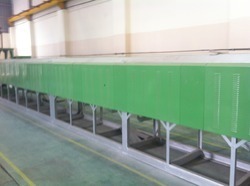 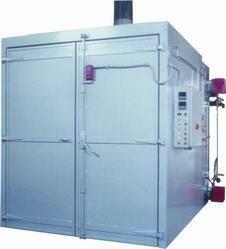 Keeping in mind current market requirements, we are offering our clients a broad array of Industrial Ovens and Dryers. 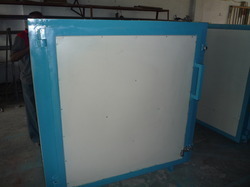 Our offered product is highly valued in the market due to its quality & optimum finish. 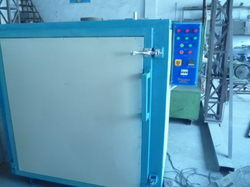 The product offered by us is manufactured with superior quality material and advanced technology in accordance with the set industry standards. 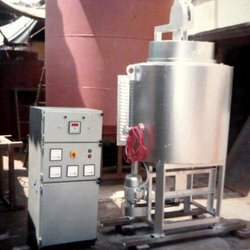 Furthermore, the offered product can be availed by our customers at reasonable prices. 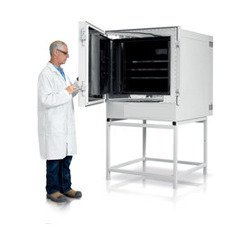 Curing Oven offered provide for high precision performance and can successfully handle processes including small batch functioning and multimode product handling tasks.